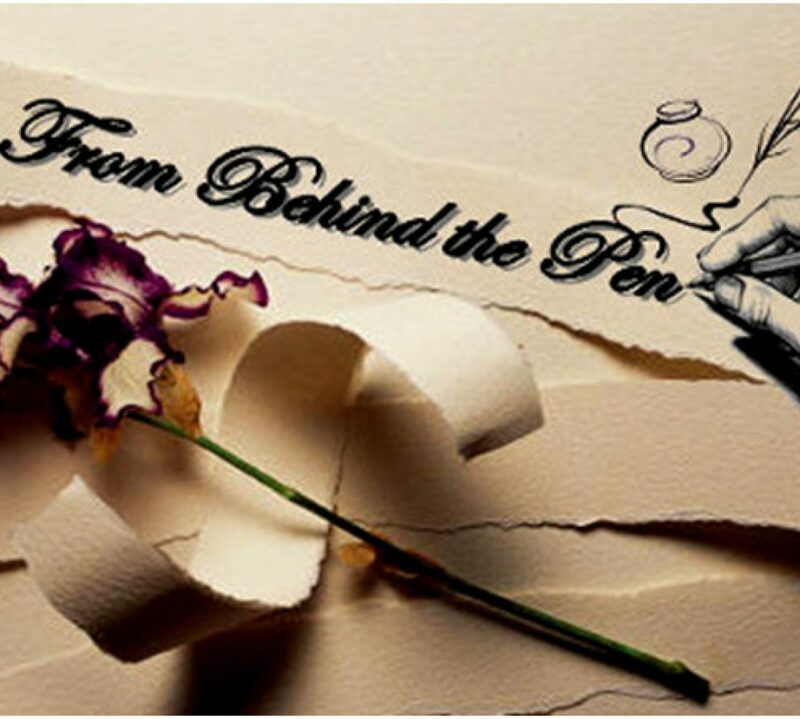 From Behind the Pen | Purpose Is The Key To Creation Manifested Through Vision! from the careless and the uncaring. destroying immune and ecological systems. quenching the parched and wilted. he watched and sadness behind his tears wax discontentment. The older we get the more we are inclined to learn about our family’s history. As we begin to research and delve into the stories surrounding our ancestors, we uncover some remarkable finds whether they are good, bad or tragic. Who we are today was shaped by who our lineage was even if we do not condone their beliefs or horrific behaviors. Still, there is a story to tell and many lessons to learn. It is fascinating to see how the inhabitants on the remote island of Easter island continue to treasure their famous Moai statues that are scattered across this Chilean island in the southeastern Pacific Ocean. These monolithic human figures represent an ancestor of the Rapa Nui people. Can you imagine the painstaking time and effort it took to chisel each one of these iconic stone statues and then transport each one across the island? For centuries these stone figures which seem to mysteriously rise out of the earth are mystical and intriguing. These amazing statues, however, are aging, decaying and sadly facing extinction due to weather-beaten abuse, algae known as lichen, and other environmental threats. 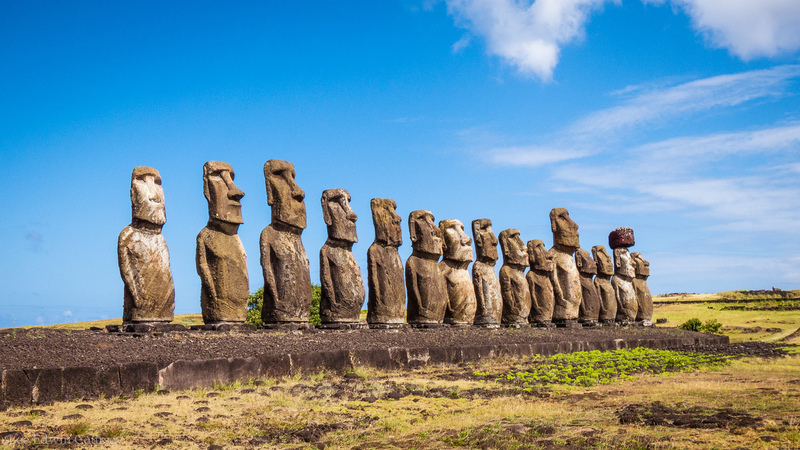 The Moai statues are remnants of a rich, great past created by the early Rapa Nui people and represent a sense of pride and respect to preserve this culture for generations to learn from. It seems there is not a day that goes by where we do not see evidence of crimes of hate, savagery, deception, disgrace, suppression, oppression, and pure unfiltered evil suddenly disrupting and destroying the lives of innocent people. The face of terrorism we may have been accustomed to seeing through media accounts is no longer substantiated by such representation anymore. Homegrown terrorism has sprouted from the seeds of hateful, violent, and destructive propaganda spewing from the mouths and conduct of so many unlikely people. It is sending scorching flames like shooting pitch forks targeting innocent men, women, and children. Sacred places like worship institutions, schools, tourist attractions, and workplaces are no longer safe, peaceful, and enjoyable havens to be. We are witnessing a sad isolation of public socializing due to fear tactics from a new wave of armed militia. Some just may be sitting next to you on the pew in your church. In our world, we are overly saturated with subliminal conversations and influences that turn relatively good people into evil cohorts. This is why it is important to be careful of the company you keep, spiritually, mentally, emotionally, and physically. It’s easier to be swayed into corruption more than you may think or believe. Touch her, listen to her, watch her, enjoy her, and taste the fruits of her goodness. Today we celebrate Earth Day, but the message of what this day represents must be activated every single day. We, the caretakers of creation are not collectively doing the best possible job to make sure this planet is protected and cared for as it should be. Are we annihilating our very existence by neglecting and destroying that which sustains us? The Earth Day Network, a 501(c)3 nonprofit organization is the world’s largest recruiter to the environmental movement, working with more than 75,000 partners in nearly 192 countries to build environmental democracy. The first Earth Day on April 22, 1970, activated 20 million Americans from all walks of life and is widely credited with launching the modern environmental movement. This year’s theme for Earth Day is “Protect Our Species.” As we celebrate this initiative let’s be mindful of the endangerment airborne and waterborne pollution poses, along with littering, dumping poisonous toxins in our soil, and now the growing danger of climate change has on our overall health. Be sure to click here and check out some of the many campaigns the Earth Day Network works on year-round that support environmental conservation, environmental protection, climate activism and advocacy, and advancing the green economy. Marrying artificial intelligence with augmented reality is a creative way to take face technology on your mobile device to new levels of deep learning and fashion inventiveness. YouCam is an innovative apps platform that mobilizes and personalizes an entirely new way to view style and beauty in one place for “selfie” enthusiasts. Alice Chang, founder, and creator of this award-winning virtual beauty app is helping brands and consumers elevate the shopping journey across multiple channels. YouCam provides brands with the capability to personalize cutting-edge beauty and makeup technology solutions to their total consumer and brand experience. Interactive AR filters integrate e-commerce capabilities, allow viewers the opportunity to instantly purchase products featured during live streaming broadcasts. Perfect Corp offers an ultimate shopping experience by merging high-tech virtual and mobile platforms for those with a passion for makeup and beauty. If you’re looking for a quick, efficient, and virtually mess-free way for instant makeovers, trying on accessories, analyzing your skin or experimenting with different hair colors and styles, this facial mapping technology is a perfect app for your smartphone. Click here and learn more about this cutting-edge app. Since Easter Sunday 2003, this celebrated holiday became more momentous for me and my family. It was a day that started out with a labored spirit, a feeling I couldn’t shake and didn’t understand why. Later that evening, I learned why. On the night of Easter Sunday that year, my dear mother made her transition from the life we always shared with her to another life beyond our understanding. How could she be gone, just like that? Did she know and was she ready? You can never prepare for when such a thing happens, no matter how much you try or think you are ready. What happens thereafter? Such knowledge we could never fully comprehend. The commercialism we symbolize and associate with this blessed holiday is insignificant to me now. Colored eggs, chocolate candy, jellied beans, adorable bunnies, Easter bonnets, and baby chicks pale in comparison to the meaning of life this holiday represents and holds dear to my heart as I speak. It doesn’t seem like it’s been 16 years since my mother passed away but the older I get, I appreciate the gift of life and the people in my life who mean so much to me. I try to never take their love and presence for granted. Today is Maundy Thursday, the Christian holy day falling on the Thursday before Easter. It commemorates the foot washing and Last Supper of Jesus Christ with the Apostles, as described in the canonical gospels. While Easter holds a very special spiritual and emotional meaning in my heart and soul, this level of connection is irreplaceable and surpasses the spotlight on eggs, bunnies, and candy we identified the holiday with as children. So, what does Easter truly mean to you? 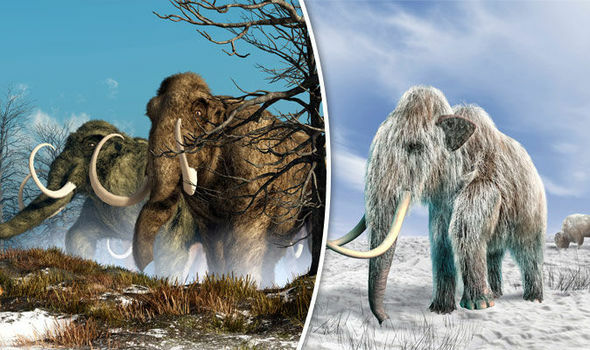 The woolly mammoth existed thousands and thousands of years ago and lived in Siberia during the Earth’s last ice age (the Pleistocene Epoch). Again, I am no science connoisseur, but with the climate change problem (although some people feel climate change is a big hoax, I know better) where we’re seeing regions like Antarctica for example, one of the fastest warming areas on Earth, and a region such creatures could possibly inhabit, how then would they really be able to survive if the woolly mammoth is successfully cloned? Certainly not Hawaii. Hmmmm…I think we probably need to let the woolly mammoth rest in peace. Just my #WhatIfWednesday thought!